Source Outdoor had a goal to build the “ultimate freeride hydration pack” with its Whistler backpack. We tested it over a month on singletrack trails, park, gravel, and road rides to get a full test. 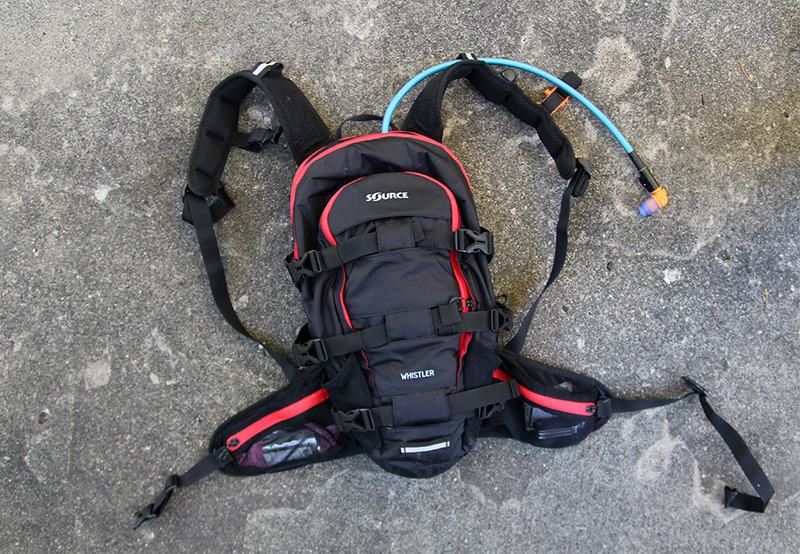 The Gear: Source Outdoor Whistler Hydration Pack. 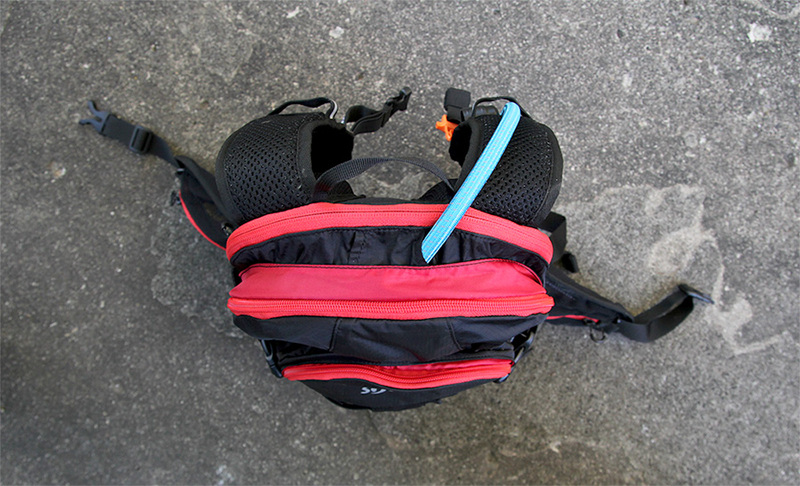 The Test: Multiple riders wore the Whistler pack for mountain biking and racing, including singletrack and gravel rides. Also, casual freeride sessions with jumps, berms, and air. The pack was comfortable riding in a range of conditions and terrain, staying tight on the back off jumps and becoming mostly unnoticeable (like any good gear should) as the miles went by. The easy access to food on the hip pockets was a plus for grabbing energy on the trail. Important Specs: 20 liters of capacity (via multiple pockets and pouches) and capacity for 100-ounce hydration reservoir (included). Measures about 18 inches long, 9 inches wide, and 10 inches in girth off the back. Weighs about 2 pounds 2 ounces when empty. Full-Featured: The made-for-freeride pack fits comfortably and has everything you need to haul gear while bombing the trails. 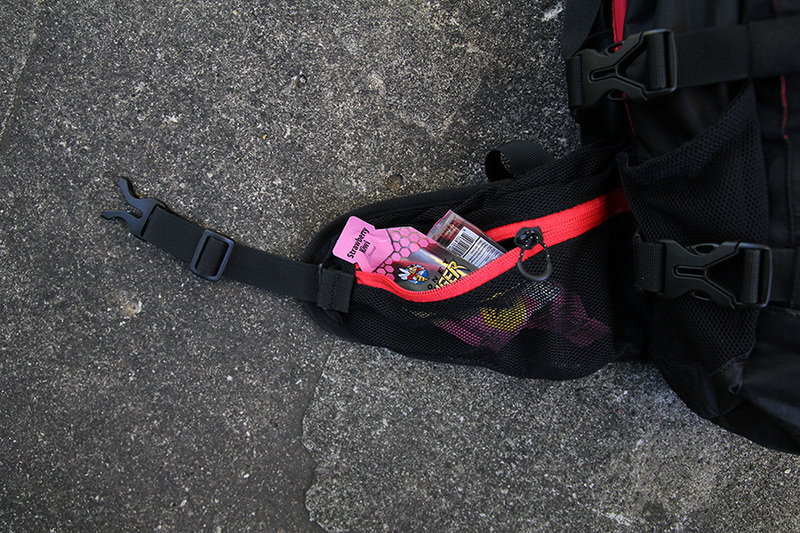 Dedicated pockets and straps for, well, nearly anything you can think of bringing with on your ride, including dedicated areas to stow padding, helmet, bike tools, pump, keys, essentials like wallet and phone, and hip-belt pouches for quick access to energy food without removing the pack. An included hydration reservoir has its own pocket. 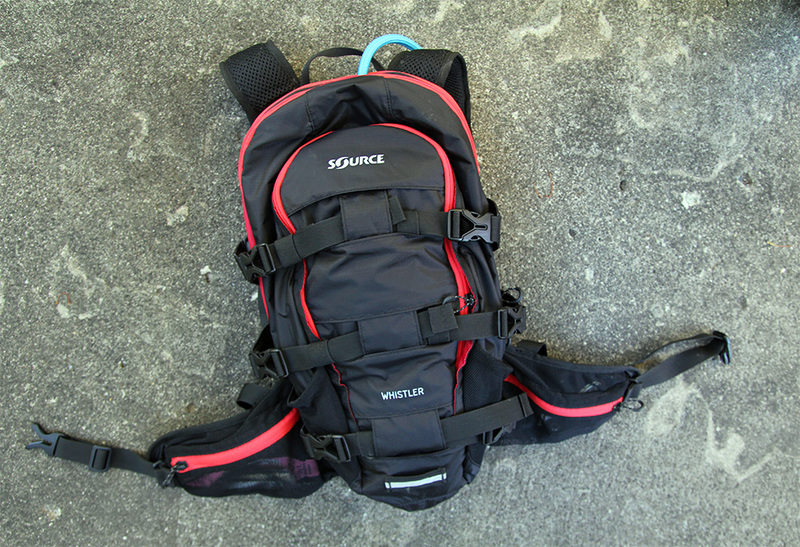 The Source hydration bladder is a high-quality design that we tested last month. 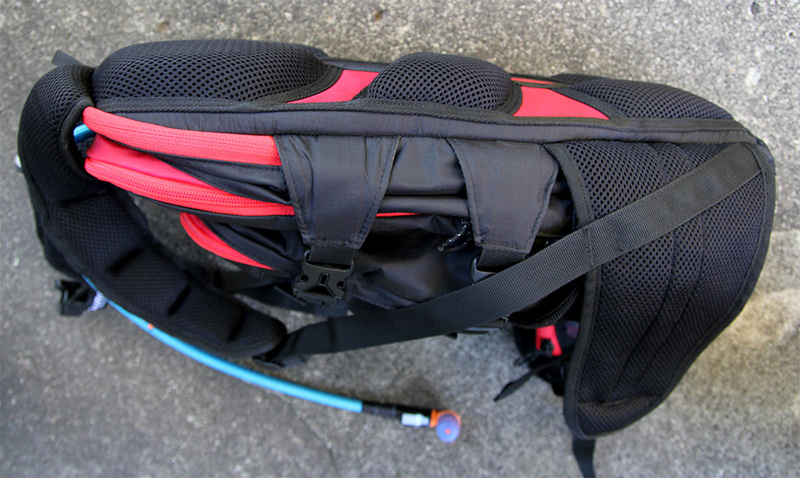 The drink valve snaps in place on the shoulder strap in a small “garage” to keep it clean as the mud flies. The back panel and shoulder straps are generously padded. Too Much? To include all of its bells and a literal whistle the pack has a crazy amount of detail, including 7 zippers, 9 plastic buckles, a couple feet of nylon strapping, big foam pods on the back, a pull-out rain cover, 11 pockets, a key lanyard, tabs of Velcro, a reflective LED light clip area, a carrying handle, and that mentioned whistle built onto the sternum buckle. The features are smart, but there is a ton going on and therefore possible superfluous parts depending on your use. Who Should Buy It: If you’re in the freeride/gravity set and need to haul copious gear, or if you’re into long endurance rides (and need to carry layers and a lot of food and water). Not made for crosscountry racers, although it is good for training rides. More Beta/Where To Buy: Source Outdoor.